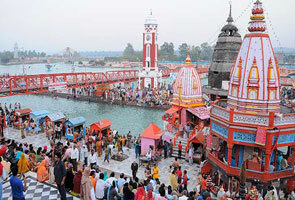 Patal Bhubaneshwar has nationally and internationally presence and popular for its religious significance. 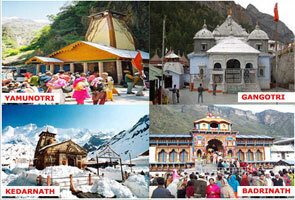 It is located at an elevation of 1,350 meters in the Pithoragarh district of Uttarakhand. It’s not wrong to say that this place is exclusively dedicated to Lord Shiva. Patal Bhubaneshwar is the combination of two terms Patal and Bhubaneshwar; here the term Patal refers to earth and Bhubaneshwar refers to Gods of our University. People assume this place as the one amongst mysterious pilgrim locations of the World and you find massive crowd here time to time. The place is also popular for cave which is dedicated to Lord Shiva and created with the help of crystallization of minerals and dissolution in water. The structure of this cave is like a narrow tunnel-like opening and illuminated electrically. Several ancient stories are associated with this; it’s also believed that the Pandavas visited and stayed at this place during their exile. Mythology also tells that the cave is connected with four abodes and it’s also called as Char Dham. Apart from this the stone formation of Sheshnag is another attraction aspect of this place through which thousands of national as well international tourists unable to stop themselves visiting this place. So it’s a good thought decision in case you’d like to finalize your trip for this place. 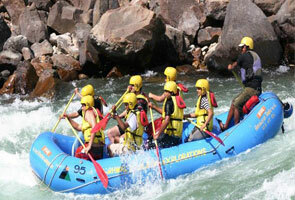 Besides this, the place is also well-connected with other major tourist destination of Uttarakhand such as Chaukori and Gangolihat. It is the foremost attraction of Kanatal which is popular for numerous natural springs, barking deer, musk deer and wild boar ghorals. 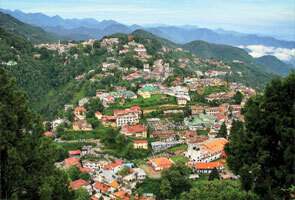 The place is just 1km away from Kanatal and Jeep Safari facility is available to view this place. If you love photography then there would not be any place better than Kodia Jungle as lots of things and scenes are available here to capture. Want to visit Patal Bhubaneshwar; well, that’s a good idea. But the best time to visit this place is in between October to January. Summer are quite warm here as sometime temperature of this place touches 47 deg C, but the best thing evening is quite cool during summer. You can come with pure cotton or light woolen at this time. In case you’re planning to visit this place in winter then you’ll find extremely pleasant season at this time with strong winds. Don’t forget to bring heavy woolen as you’ll have requirement of this. It’s better not to come this place during Monsoon as you’ll have to face heavy rain. The extent of rainfall at this time is so heavy that you can’t enjoy your trip. You’ll find only few restaurants at this place but cuisines are served by local area people. The quality is good and you can order cuisines as per your wish. Shopping facility at this place is quite negligible. It’s a remote are perfect for sightseeing but bi for shopping.